Market highs and lows can both drive an increased interest in new products — ones that add more yield potential or those that allow growers to fine-tune or shave fertilizer programs. That’s why recent low commodity prices are spurring more opportunities for fertilizer additives, says Nick Bancroft, Vice President of Agro-Culture Li­quid Fertilizers. They promise more efficient nutrient use as well as increased yields. This segment has also grown thanks to increased use of urea-containing fertilizers and reductions in tillage (hence, less incorporation), says Bock. Then too, growing environmental pressures have played a role in expanding additive use, as many sectors are calling for producers to reduce nutrient loss into water systems. There’s definitely room for more adoption of established and new technologies. 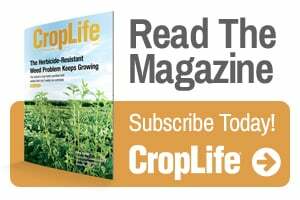 Dr. Ryan Bond, Vice President of Marketing at Verdesian Life Sciences, estimates that not even half — 25% to 40% — of growers are treating their nitrogen fertilizers, including anhydrous, UAN, and urea. Three years ago, Verdesian entered the additive market space, purchasing companies with existing inhibitor technologies. Now it’s pairing them together with new offerings. The firm owns legacy product NutriSphere-N, which prevents denitrification, volatilization, and leaching. In 2014, it released a patented technology product called Take Off which “increases the plant’s appetite for nitrogen,” says Bond. It speeds up a crop’s utilization of N while it’s still available. Company research shows a 4.5% yield uplift of 7.1 bushels per acre across the corn trials, and a 4.3% yield increase for soybeans — at 2.3 bushels per acre. To help enhance the availability of phosphorus, Verdesian offers Avail, which keeps the nutrient in soluble form, increasing the amount that gets into the plant, for an average yield increase potential of 9.6 bushels per acre. The additive/enhancer category, which used to typically include stabilizers, adjuvants, or plant growth regulators has expanded, says Paul Reising, Micronutrient Product Manager for Compass Minerals. Indeed, a host of elemental nutrient products that enhance nitrogen activity has been released in just the past few years. Compass’ Nu-Trax P+ places a combination of phosphorus, zinc, and other nutrients for early-season growth on every dry fertilizer granule in a blend. 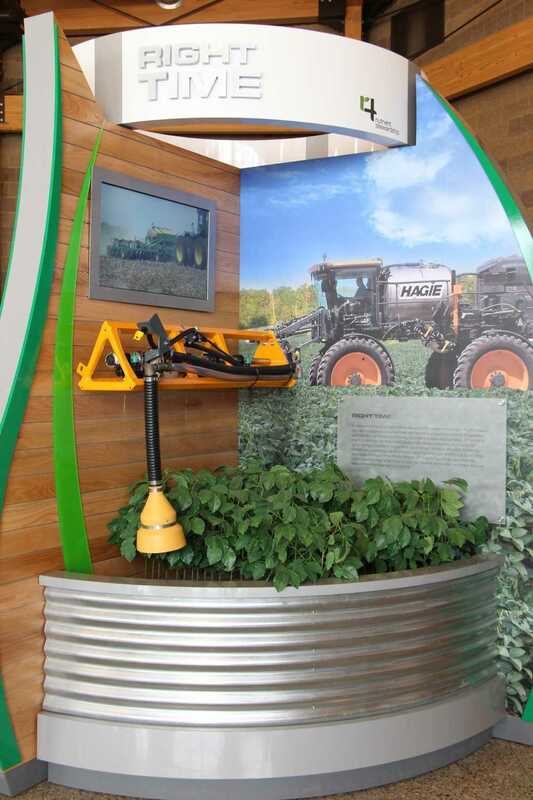 “It can deliver similar agronomic results as a starter fertilizer but in a broadcast system,” says Reising. Based in trial results from 2013-15, corn growers saw an average return-on-investment of $13.04 per acre when they coated their spring dry fertilizer with Nu-Trax P+, based on a corn price of $3.54. TKI Crop Vitality products are dual-purpose, providing both plant nutrients and reducing nitrogen losses by inhibiting nitrification and urease activity of co-applied products. Thiosulfates are good examples of these value-added products. They are used as a soluble source of sulfur for liquid blends but are also nitrogen inhibitors that can reduce nitrogen loss by slowing down nitrification. One example in TKI’s thiosulfate line is Thio-Sul. Bock says there is increasing evidence that Thio-Sul (12-0-0-26S) provides an enhanced yield response to the nitrogen that is not lost and remains available to the crop. As Agro-Culture’s Bancroft puts it, his company uses nutrients to make nutrients better. “We add sulfur and trace amounts of secondary micronutrients to provide the plant what it needs to metabolize N and build proteins,” he explains. With this approach, AgroLiquid offers eNhance, released in the late 1990s, which is added to urease solutions to “make them more efficient — or give the growers the opportunity for enhanced yields,” he says. eNhance is part of the company’s N-Suite line of products, the most popular of which has been High NRG-N which slows the conversion to nitrate nitrogen, allowing a wider window of application to align with the management practices of the grower. When using AgroLiquid products there is little reason to use additives; enhanced efficiency is achieved through product formulation and nutrient synergy. Yield responses depend on how severe nitrogen loss conditions are in a given year. Growers have tended to weigh the options of adding some extra nitrogen as “insurance” rather than using N inhibitors, says TKI’s Bock. But with extreme weather and environmental pressures becoming more common, this becomes less of an option. Retailers need to emphasize the risk of large yield decreases and how nitrogen inhibitors can greatly reduce that risk. Compass’ Reising warns that it’s easy for this market space to be oversold. “There are very few products that should be used on every acre,” he says. “There can be confusion among farmers on what should be used where. And with most farmers, there’s one shot to get a return purchase. 4R principles can help in additive/enhancer uses, say experts. Reising reiterates that many of these products are not simple technologies. It can take a lot of explanation for customers to understand them and how they work. Bottom line: Retailers need to “make it easy” for growers. They need to educate themselves by attending webinars and reading materials provided by manufacturers. AgroLiquid’s team of agronomists not only provides technical support but can place trials, comparisons and demos in a field for customers.